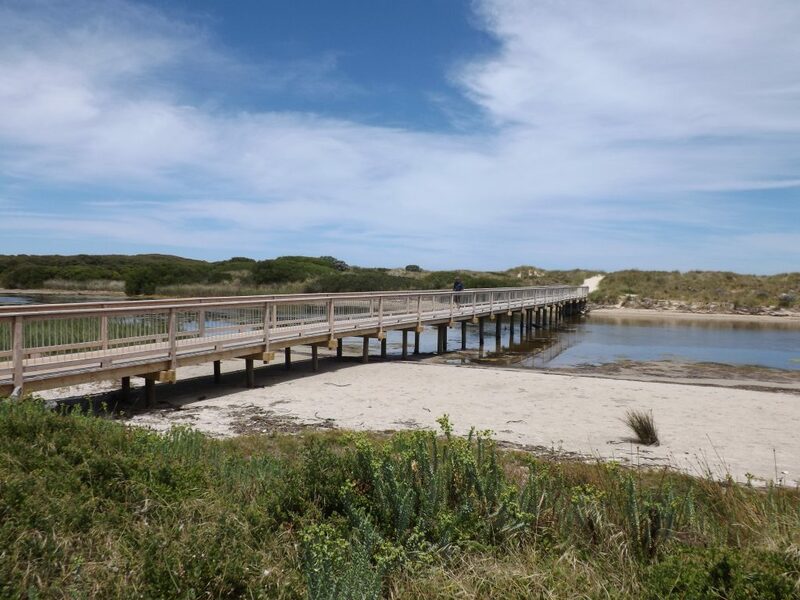 If you are looking for a day full of leisure, sand and gently lapping waves where the kids can swim, surf, play and explore you cannot go past spending the day on one of the beaches along Portland Bay. The foreshore below Bentinck Street offers a fantastic range of family activities for a quiet day of relaxing. The shops along Bentinck Street give a great range of food for eat in or take away and the large expanses of lawn are waiting for a picnic. 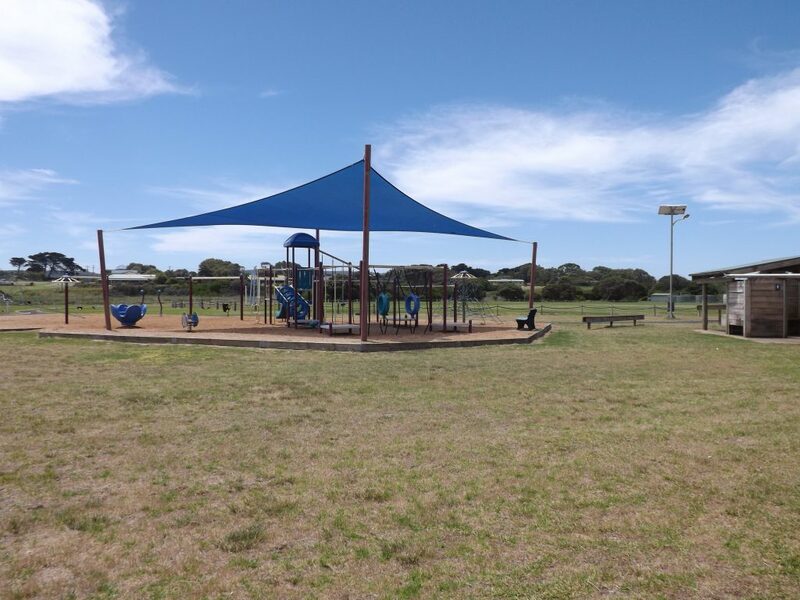 The kids are well catered for with the playgrounds and calm waters are a fantastic safe area for young children to wade or splash in the shallow water. For those keen to catch their dinner the Lee Breakwater and new marina offer good options for fishing with bait and tackle readily available. The Visitor Information Centre and Portland Maritime Museum can be found on the edge of the bay, there is always an exhibition running and the museum covers much of Portland history with exhibits such as a whale skeleton and fittings and fixtures of our lighthouses among many other items all with a story relating to our history. 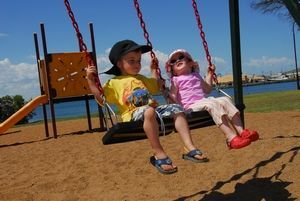 Nuns Beach offers more area and options for water activities whilst still safe for the youngest in the family. The large beach is great for sandcastles and swimming is safe for all ages. Often kite surfers can be found on the beach, snorkeling and diving under the bluff gives an insight into the shipping history of the Port with the remains of 2 wrecks to be seen. Surfing of the bluff is another great option for those who prefer to stay above the water. Further around the bay along Dutton Way the beaches behind the rock walls offer offer surf fishing and swimming when the tide is low. Following along Dutton Way to Fergusons Raod Wally’s Ramp is a small boat ramp. 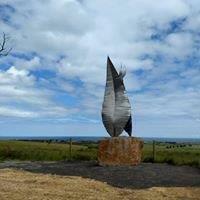 It is possible to walk around the beach to Snapper Point and Narrawong. All along the beach there are rocky sections where children can find sea creatures in small pools at low tide. 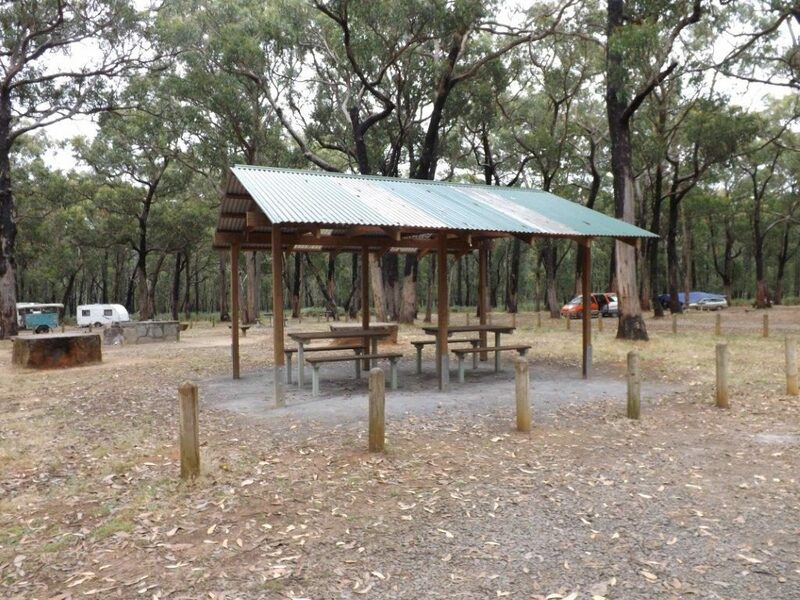 Alternately to the Portland Bay try the short trip to Narrawong where Mt Clay and the Saw Pit is a lunch destination with a hint of logging history. The Saw Pit was originally used to mill trees by hand with large logs set over the pit as they would have been. Mt Clay also offers walking and Mountain bike tracks through the state forest. 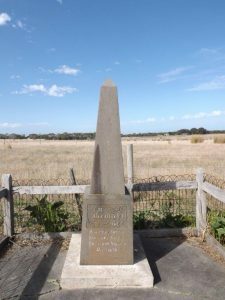 If you have been following Portland’s history the Narrawong Cemetery holds the Grave of William Dutton one of the first settlers of the whaling station that became Portland. 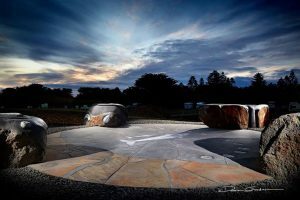 The Surry River finally meets the ocean at Narrawong and the recreation reserve by the river offers a playground and BBQ area. 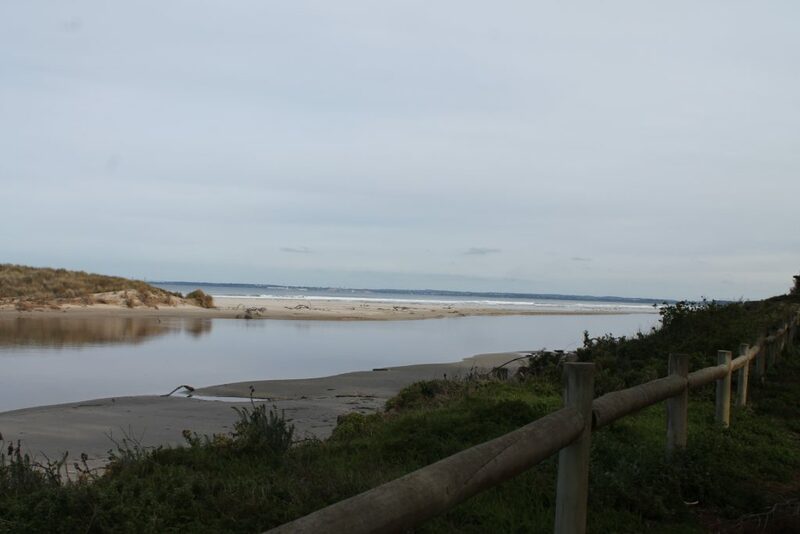 The river mouth is rarely open during the warmer months when flows through the river are low and swimming is popular in the warm waters beside the reserve. Small fish can often be spotted in the shallows and there are a number of favored river fishing spots on the north side of the reserve.